Kelley-McIlnay Chiropractic is a well-established, family chiropractic firm in the Roseville area. While they’re primarily known for their general chiropractic services, they also provide a service called Spinal Decompression. Spinal Decompression is a lesser-known yet highly successful treatment for severe back pain that serves as a less invasive alternative to Spinal Fusion surgery. Our task was to develop a system that helped educate patients who suffer from back pain on the benefits of Spinal Decompression and get them into the Kelley-McIlnay offices for a free consultation. We decided a lead magnet combined with an email funnel was the best approach for getting this information out. Users enter the funnel by finding the Kelley-McIlnay site via Google search. We then collect contact information from these users in exchange for a free white paper about back surgery alternatives. These contacts are then added to an email list to receive an automated series of emails about the benefits of and science behind Spinal Decompression. Over time, these email campaigns push users to schedule free consultation appointments. Our Design team worked with Kelley-McIlnay to give their site a refresh and simplify some navigation points. We moved it toward a much lighter, cleaner look and also built out the landing page needed for Step 1 of our marketing plan. While search engine optimization wasn’t the primary focus of this project, it was a pillar of Kelley-McIlnay’s discovery. We optimized the site’s existing content and reworked the messaging to fit the target keywords identified by the Digital Marketing team. 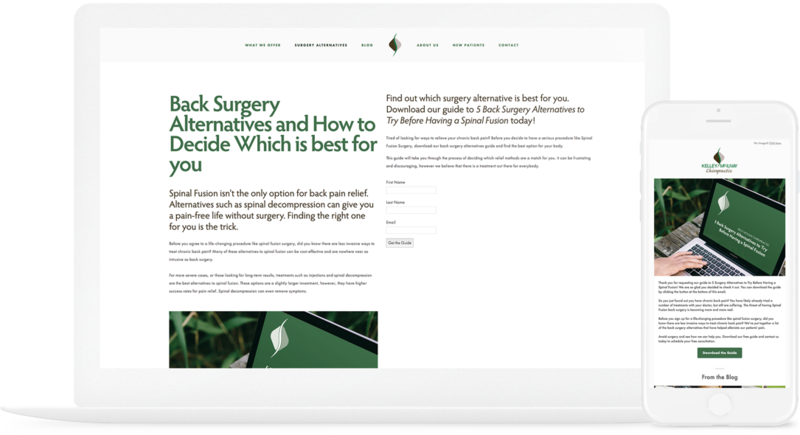 The landing page was written and built to rank for specific terms related to “Spinal Decompression” and “back surgery alternatives.” By targeting these types of terms, the landing page would capture users who are searching for more information or are interested in these services. The white paper, which Three29 designed and developed, detailed back surgery alternatives for potential patients and served as our “lead magnet.” Lead magnets are generally something that is given away for free by a company in exchange for information. They are a tool used in sales to get customers hooked into a brand’s messaging. 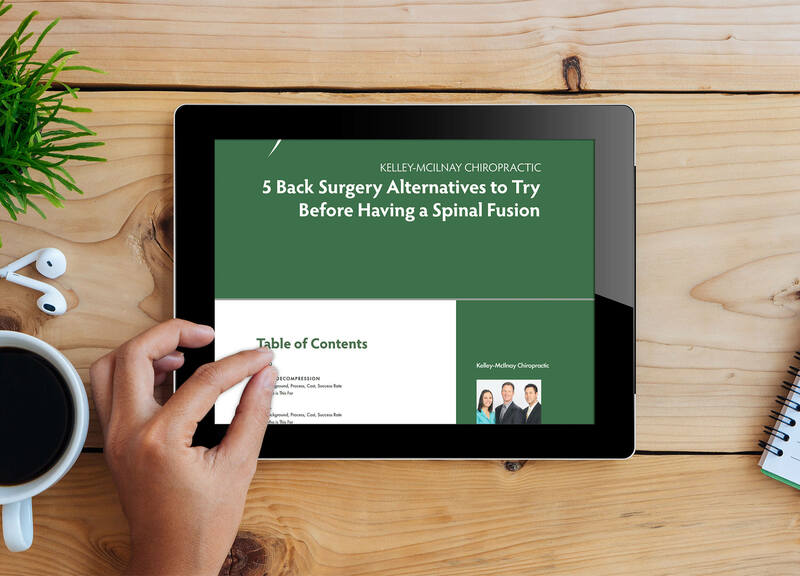 For this project, we created a free white paper that explored alternatives to Spinal Fusion back surgery. The document wasn’t over-salesy, it simply and clearly laid out the benefits of each treatment option and how to go about finding the proper treatment. It did, however, present spinal decompression (our main product) as the best alternative. 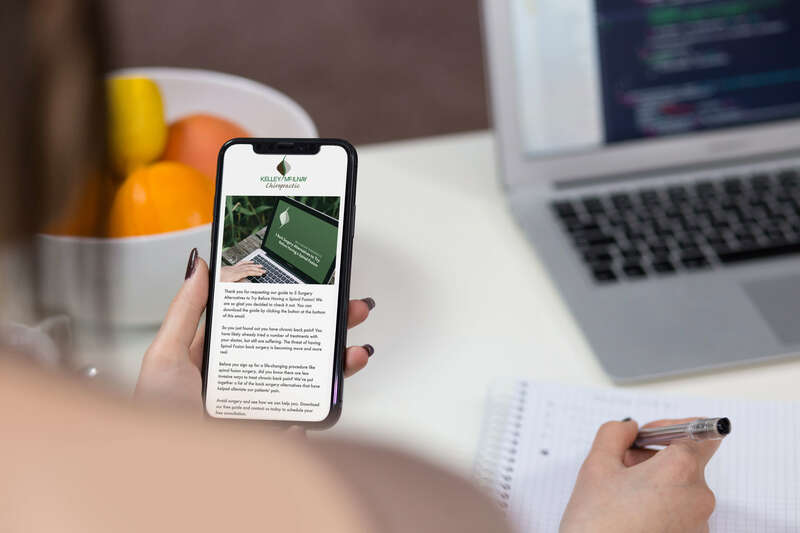 The Design and Digital Marketing teams worked together to create a reusable and effective email template that would be used for the automation portion of the email funnel. These emails weren’t intended to be overbearing or over-informative, but serve as a reminder and helpful service. They were kept at about 300 words each and offered readers little pieces of information. In the funnel developed for Kelley-McIlnay, there are a total of four emails to be sent out over the course of a month. The first email is delivered immediately after a user fills out the form on the landing page to request the white paper. This email contains a “thank you” message along with a link to the white paper. 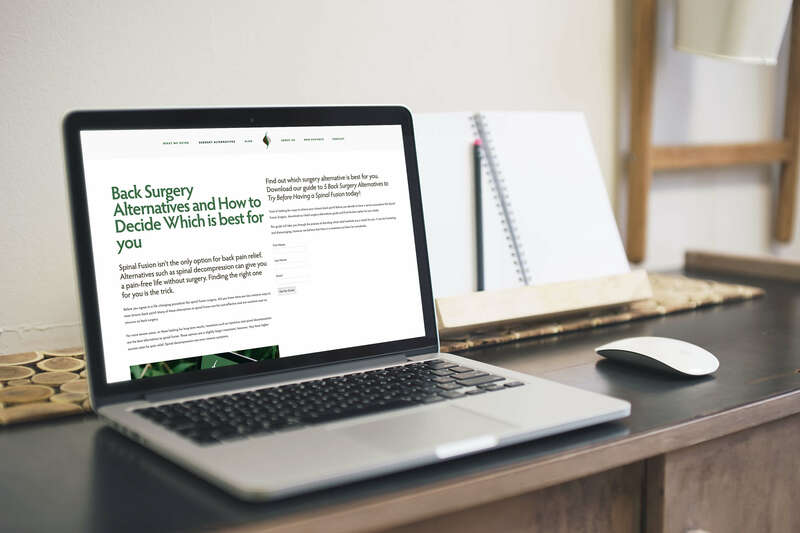 Over the next two weeks, two emails are delivered providing additional information about back surgery alternatives and spinal decompression. On the fourth week, a “call to action” email is sent out that drives users to schedule their free spinal decompression consultation.